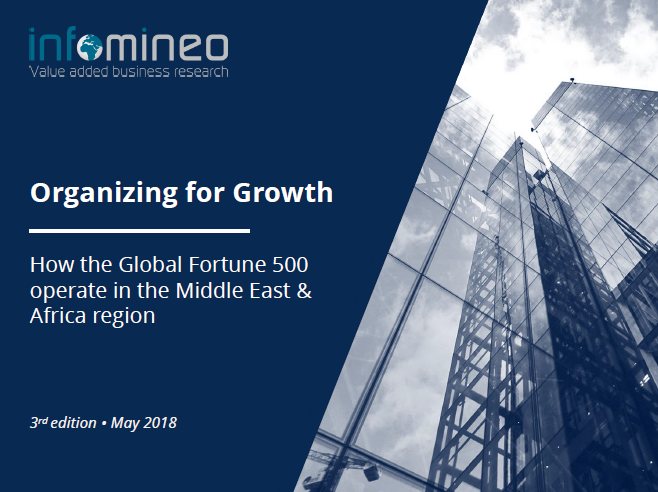 For the third consecutive year, Infomineo reviews how the Global 500 are conducting business in the Middle East and Africa (MEA). 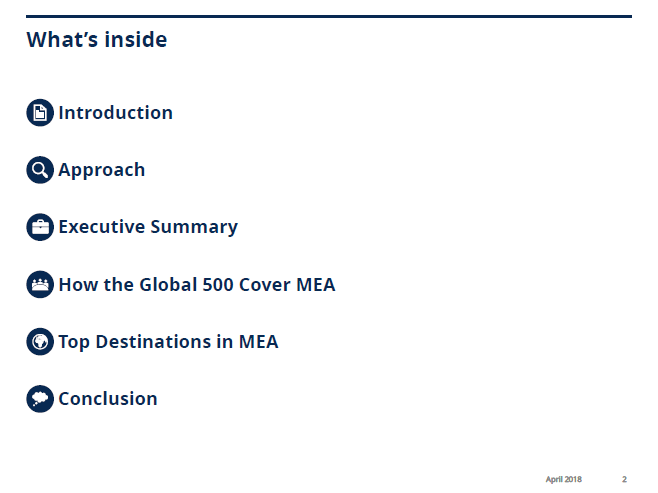 Using the 2017 Fortune 500 ranking as a sample, this review sheds light on where major industry players are choosing to set up a decision making center in the MEA region, highlighting trends regarding what type of companies are establishing decision making entities within the region. 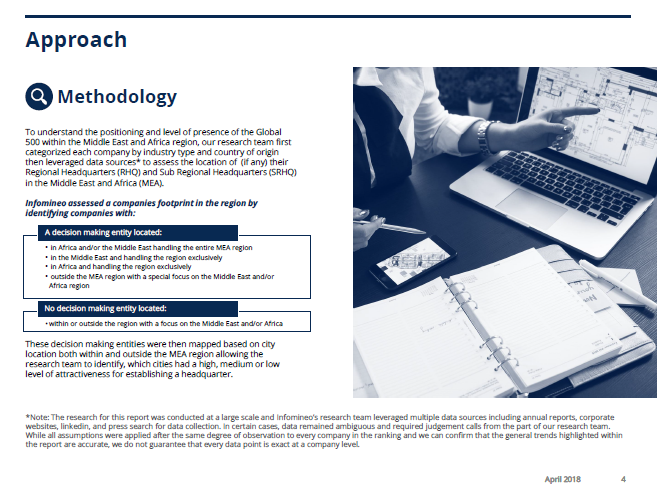 Submit the form on the right-hand side to access your copy of the report. 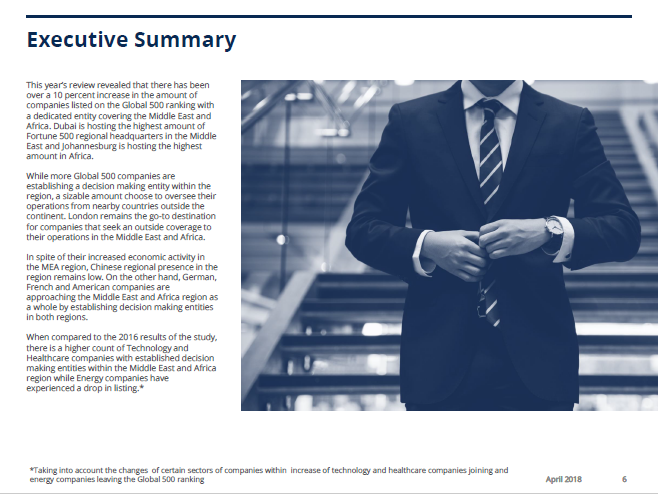 This year’s review revealed that there has been over a 10 percent increase in the amount of companies listed on the Global 500 ranking with a dedicated entity covering the Middle East and Africa. 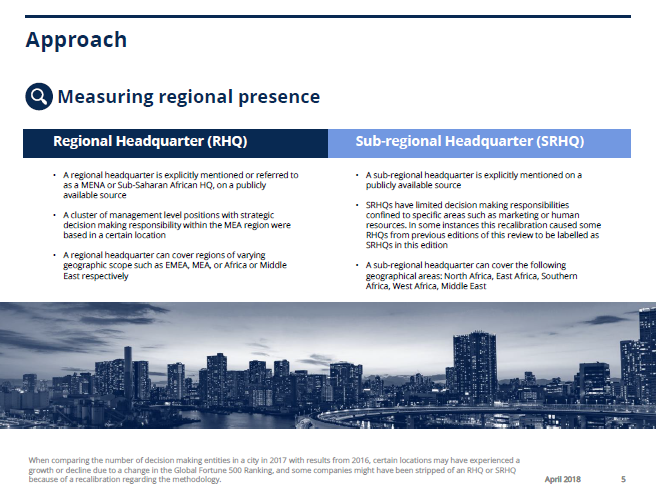 Dubai is hosting the highest amount of Fortune 500 regional headquarters in the Middle East and Johannesburg is hosting the highest amount in Africa. 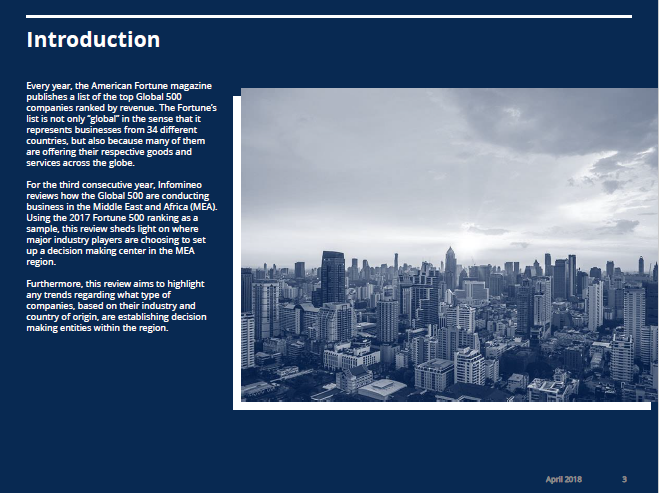 Submit the above form to access your copy of the report.